Home Blog How Can I Learn to Speak Norwegian? 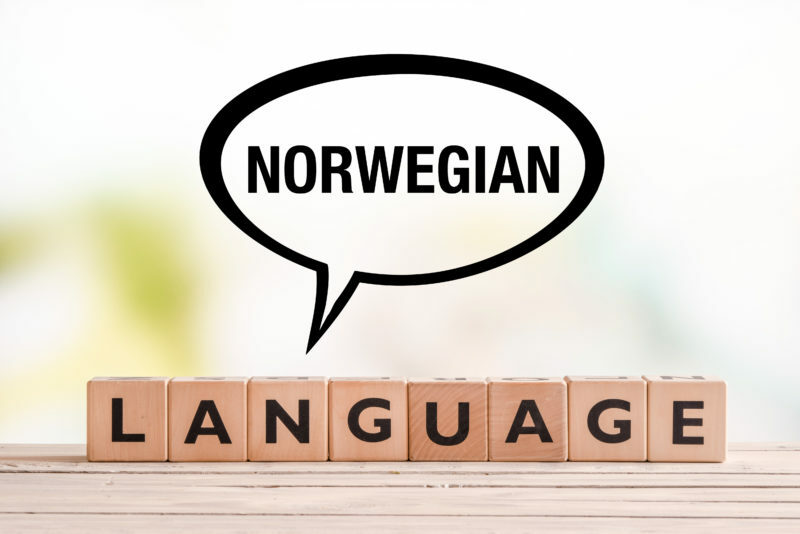 A big question that has come up multiple times is: “How Can I Learn to Speak Norwegian?” The good news is that there are some things you can do to help make the process a little easier and quicker. If you follow these tips, you’ll have a pretty good start on learning the Norwegian language! Before jumping into the more advanced parts of the language, you want to make sure you learn the basics. All of these things will give you a simple understanding and they will help you learn the complete basics of the language. Learning he pronunciation of words in the Norwegian language is just learning how they are said. There are a few differences between this language an English. One of the biggest is that there are 3 additional letters in their alphabet that aren’t used in the English alphabet. While there are some cases where this doesn’t apply, the majority of Norwegian words are pronounced exactly how they’re spelled. One thing to keep in mind is that some areas of Norway are going to have different pronunciations than other areas. Next, you’ll want to learn a few basic ways to greet people who speak Norwegian. You don’t have to learn anything too advanced, but you want to have a few greetings ready. Some of the basic greetings you’ll want to learn are listed below. Every language has important phrases that everyone needs to know if they’ll be learning to speak it. Norwegian is no different and below are a few of the phrases that are extremely important, which means you want to make sure you know them! In addition to these things, you’ll also want to make sure you learn some basic questions. Not only will this help you communicate with others, but you’ll know what is being asked of you! Some of the common ones are listed below. Once you have a basic understanding of the Norwegian language, you’ll be able to start learning the more advanced parts. Learning these things will be a huge step in actually becoming fluent. Not only will you be able to start speaking things that are more complicated, but you’ll also be able to understand more! A book for beginners on Norwegian grammar will teach you all the basics about the language. This includes things like sentence structure and how to put everything together. You can either get one from online or a bookstore that has books from different languages. You can also use some online resources. There are many websites out there that will help you get a better understanding of the language. Keep in mind, some of these websites are free, while others will charge you a monthly or yearly amount. Creating flashcards will allow you to learn and test yourself. The great thing is that you can add pretty much anything you want, including vocabulary words and adjectives. You can take them with you wherever you go or you can just use them while you’re at home. You can either use sticky notes or something like nails to hang phrases around your house. This helps because you’ll be able to learn while you’re doing your everyday activities. You could also trade the phrases out as you learn them so you can continue learning! The final step of learning Norwegian is to actually incorporate the language into your everyday life. Doing this will make things come more naturally and you’ll feel like you’ve been speaking the language your entire life! Being able to have conversations with people who actually speak the Norwegian language fluently will help you learn more than any book can teach you. The books tend to teach you the proper way, but speaking with someone can let you in on things like slang. There are many chat rooms out there that will let you talk with people who speak different languages! While this might not be feasible for most people, actually visiting Norway will give you a first hand experience with the language. You might even find someone who lives there and is willing to help you learn even more. Remember, before deciding to do this, you’ll want to make sure know several phrases and questions, so you aren’t completely lost. Subscribing to Norwegian magazines means you’ll start getting magazines that are completely written in the language. This will help you get a better understanding of how to read the language and how it looks and flows when writing. There are many out there, so the possibilities are pretty much endless! Finally, watching Norwegian films will help you hear how the language is spoken naturally. There are 3 ways that can help with this. The first is putting English subtitles on, so you’ll know exactly what they’re saying. Next, you could put Norwegian subtitles, so there won’t be any English at all. The last one is having no subtitles. This will make it so you’re just listening for the different words and pronunciations to see if you recognize anything! Now that you know some of the answers to “How Can I Learn to Speak Norwegian?”, you can start learning and becoming fluent. Just like most things, it’s going to take some time to speak fluently, but you’ll have a huge sense of accomplishment and pride. The big thing is to keep trying and don’t give up!